If I had known a year ago, the things I know now, things would be different; but as parents we live and learn. 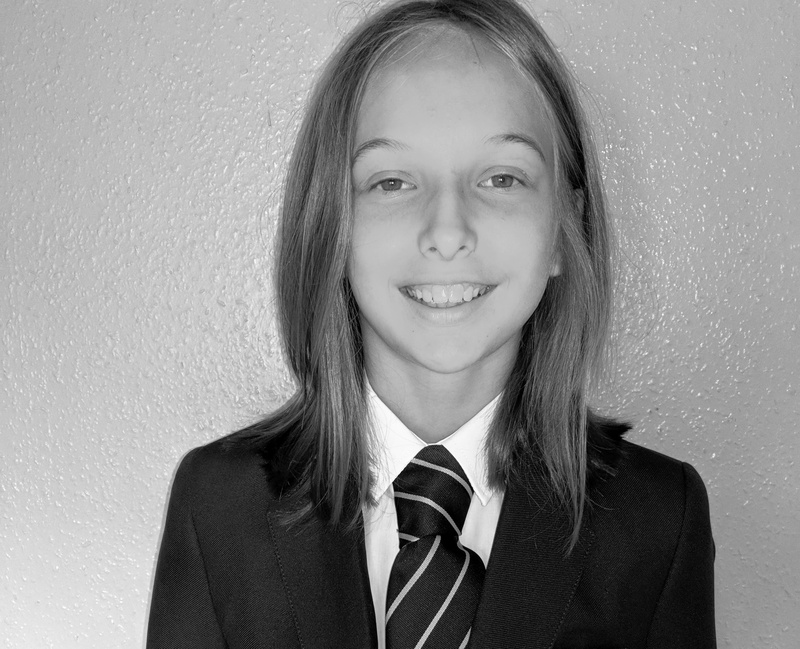 …Well then I’d have started preparing her for these exams at the beginning of year 5. Instead, I found myself trying to prepare a stressed and panicky year 6, a matter of days before the late entrance exam. So to help other parents avoid the pre-exam stress, I thought I’d write a post of tips. Tips for parents, whose children are sitting the grammar school entrance exam or the late entrance exam. Whose decision is it to go to Grammar school? Firstly, does your child want to go to grammar school? Is it your decision or theirs? The grammar school entrance exam is HARD and there is a lot of stress and pressure surrounding it. It’s not enough to just pass the test, you have to pass in the top percentage of students who pass. Your child has to pass with as high a score possible to beat the competition. Because getting a grammar school place these days IS a competition. In Gloucestershire for example, it is estimated that over 2000 children will sit the grammar test, but there are only 990 grammar school places in the county. This doesn’t count the few hundred children who will also sit the late entrance exam. If your child doesn’t really want to go to grammar school, then for the love of god, don’t put them through it. If it’s what they want, then you have to try and find the middle ground between being supportive, but not putting pressure on. Look up the dates for the entrance exam registration well in advance. When your child starts year 5 of primary school, look up the dates. write them down everywhere. The application dates. The test date. The result date. The application for secondary school date. The allocation date. The appeal date. Program the dates into your phone, your email calendar, your hand-written calendar. Revise the dates. Learn the dates. Don’t take anyone elses word on those dates – look them up yourself. Then double check them and triple check them. I made the mistake of writing down the dates that somebody else told me. They were wrong and I ended up missing the application date. I then found myself worrying for months over whether or not my daughter would be accepted for the late exam. Dependant on which area of the UK you live in, there are different styles of grammar school entrance exam. For Gloucestershire, the entrance examinations for all of the grammar schools, use the CEM tests produced by Durham University. Other areas of the UK use BOND tests or GL tests (there may be others too). It’s important that when you buy revision materials, you buy the right type for your childs intended test. Bunny’s school bought her two study guides and I bought her a book of sample test papers. Start working through these on a regular basis, from the start of year 5. They will seem near impossible at the start of year 5 but they will get easier as your child learns more throughout year 5 and also with practice. The following books are the ones that Bunny found the most useful when preparing for the exam. 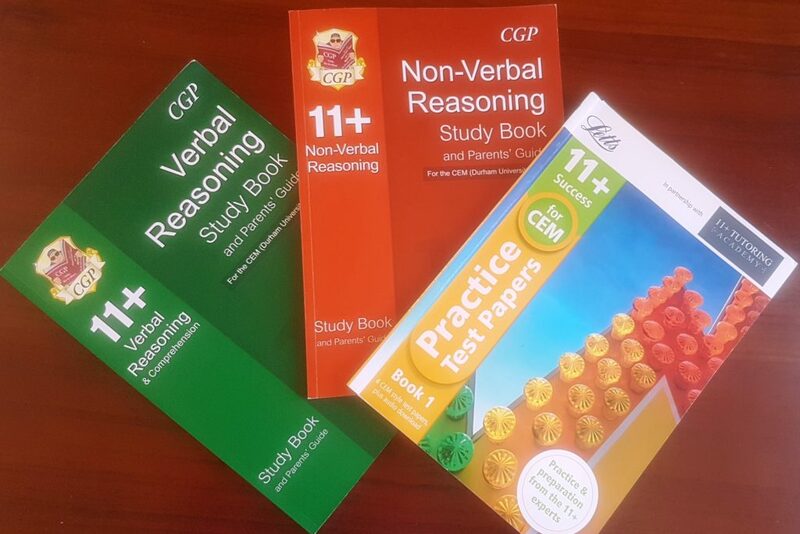 If your grammar school entrance exam doesn’t use the CEM test, there are similar books available from the same publisher. 11+ Tutor or no tutor? 2) Unless you’re going to hire a tutor all the way through secondary school, they might struggle once accepted to the school. 3) With the right 11+ preparation books and resources, the answers are explained very well in the back. 4) As a parent with GCSE’s, A-Levels and an Honours Degree, I feel more than capable of tutoring my own child. 5) At the end of the day, I wanted her to get in on her own merits. We found free samples of CEM 11+ tests on a number of websites, which we downloaded and used to help Bunny familiarise herself with the test format, the pressure and the types of questions and time limits. It’s worth mentioning that Durham University themselves do not publish or endorse any of the CEM test resources, either online or in print. However, that doesn’t mean that they aren’t helpful. The time limits set on the 11+ grammar school entrance exams are gruelling and disheartening. I can’t tell you the number of times Bunny sat a practice test at home and didn’t meet the time limits. In the real exam, she met the time limits for MOST parts of the test. I would definitely recommend working out a regular routine when it comes to 11+ grammar exam preparation. Think about how often your child wants to learn and how often they want to practise tests? Split books up into manageable revision sections. How many days a week do you want them to work on it? Have you got the time to sit down and go through all the answers with them? Are there distractions? Noise? Other children? The TV? Is there something else your child would rather be doing? Are they tired? There are so many things to consider, but ultimately your child should be relaxed, happy, not tired or hungry, and have a quiet and comfortable place to prepare, with no distractions. Go over every wrong answer or anything your child doesn’t understand, with a fine tooth comb and further examples. For example, Bunny came unstuck on calculating ratios. So I asked her to tell me how she calculated her answer. Then I talked her through the correct calculation, step by step, but making sure it was still her doing the workings out. Once she understood it and got it right, I gave her examples of similar sums, so she could rehearse her method and demonstrate her understanding. I learnt in college, that rehearsal is the best form of revision. Try not to put too much emphasis on where your child is going wrong. Praise every improvement, every achievement and everything they get right. Build up their confidence, without raising their hopes too high. Prepare them for both passing and failing. Talk through the back-up plan and back-up school, if they don’t get accepted to grammar school. Make damn well sure your child knows that you love them and are proud of them, no matter how well or how badly they do in the grammar test. It’s really hard to strike the right balance between supporting a child through the 11+ grammar school entrance exams, but without putting any pressure on them. This is their life, their future, their decision. 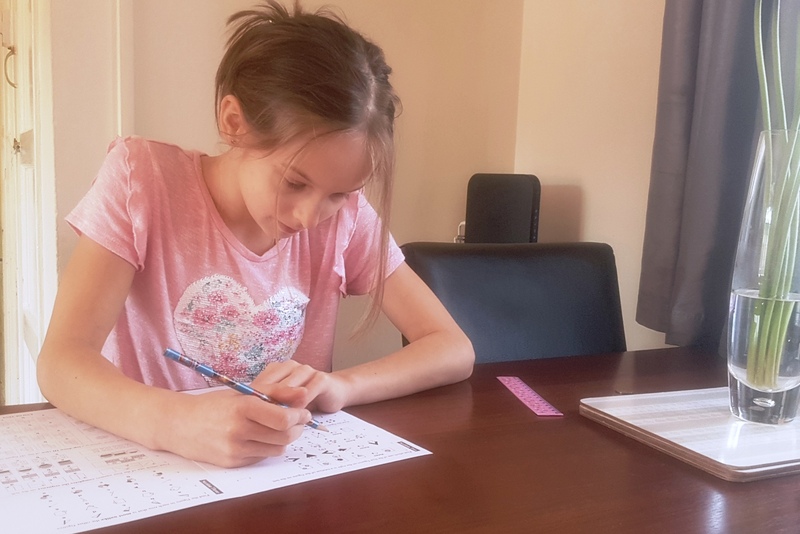 You can see how my daughter Bunny got on with her grammar school entrance exam by reading my blog post about her late entrance exam results. This entry was posted in child development, education, Parenting, School and tagged 11, 11+ exam, exam stress, grammar school, grammar school entrance exam, how to prepare your child for the grammar school entrance exam, late entrance exam, preparing children for exams, preparing for the 11+. Bookmark the permalink.